If you're looking for a bike built for two - or just one, but with three wheels, look no further than the Pedego Tandem and Trike! 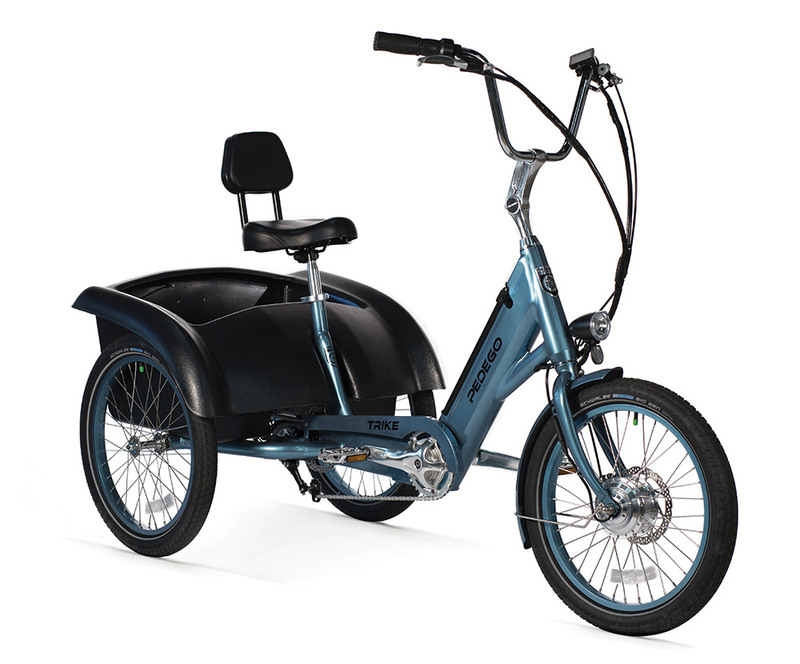 The Pedego Tandum Cruiser is the world's only electric bicycle built for two! Not only can you spend time with your sweetheart, but if one of you doesn't want to pedal anymore, the other isn't stuck with all the work thanks to the awesome Pedego geared motor! The Pedego Trike is a comfortable and stylish three wheeler - empowering more people to safely enjoy riding. When stability is key, this is the Pedego for you! Ride the only electric bicycle built for two! 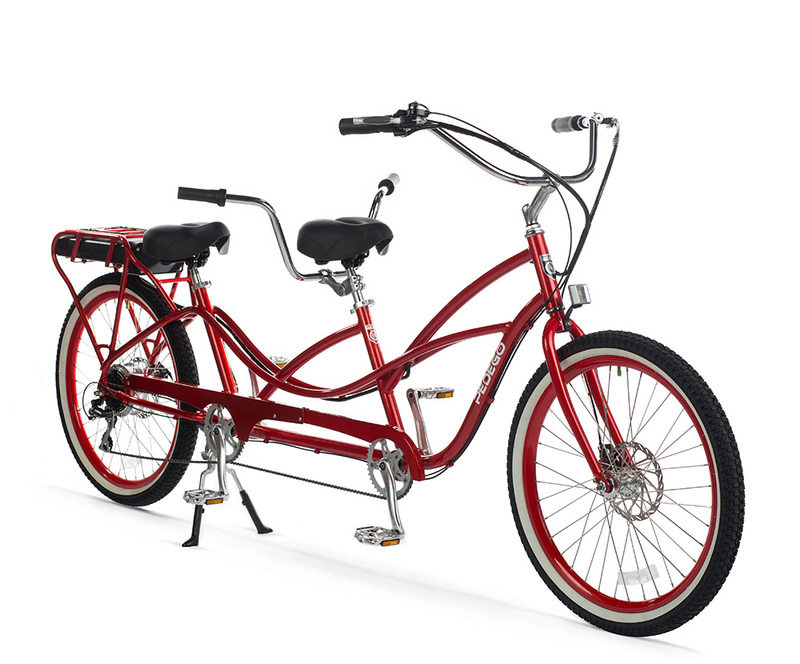 The Pedego Tandem is perfect for couples who want to spend more quality time with each other outdoors. And, as is often the case with tandems, if one rider decides not to pedal - the other isn't stuck doing all the work! Just kick in the powerful Pedego motor, and be whisked away with ease! - Special frame geometry for an upright, cruiser style riding position. - Luxurious, soft saddles for comfort where it matters most. - Wide, swept back handlebars for relaxed, upright comfort. - Cruiser tires for a nice, smooth ride. The Pedego Trike is the most stable electric cycle on the market. Boasting three wheels and easily accessed battery make this one of the simplest electric bikes to operate! It's so easy, the internally geared hub can even be shifted at a complete stop - how awesome is that? - Internally geared hub for easily pedaling and smooth shifting - even at a complete stop! - Large cargo bucket with up to 50lb carrying capacity. - Deluxe saddle with a padded backrest that provides extra support. - Quick release handlebar stem that is easily adjustable for a perfect fit!